So here is the second thing I made with light coconut milk which thankfully also turned out well! Surprisingly though, I STILL have like half a can of coconut milk left! 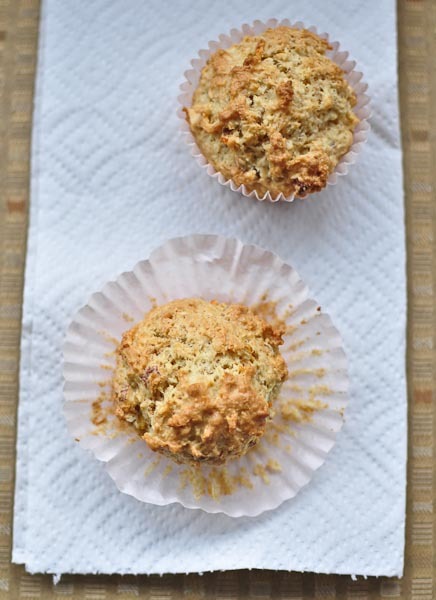 I already made the apple oatmeal mini muffins with light coconut milk and I was sure I would be done with it after this recipe. Although, I did only end up making 6 muffins from this one, just because I like variety and one of my roommates is allergic to nuts so she wouldn’t even be able to have any of these. I didn’t want to tempt her too much with these. 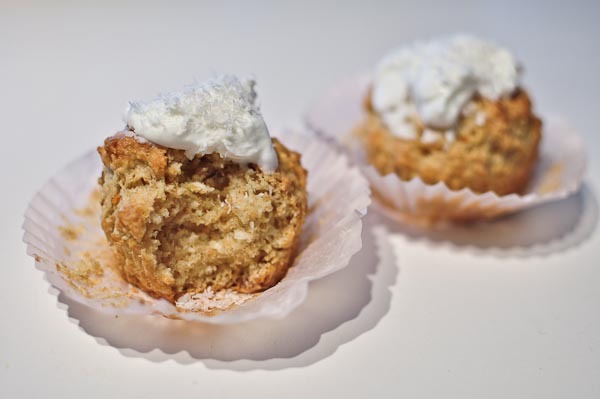 If you’re into coconut, you will enjoy these muffins! With a bit of greek yogurt, shredded coconut, and maple syrup as topping. Preheat oven to 400 degrees F. Spray cupcake pan and put in 6 muffin liners. 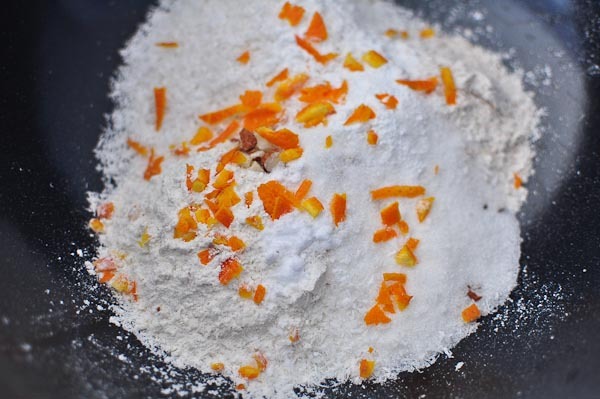 Combine flours, coconut, sugar, almonds, baking powder, orange peel, baking soda, and salt in a large bowl. I don’t have a grater yet so I just cut it the orange peel up really thin. Tried to anyway. In another bowl, blend the coconut milk, eggs, coconut oil, and vanilla. 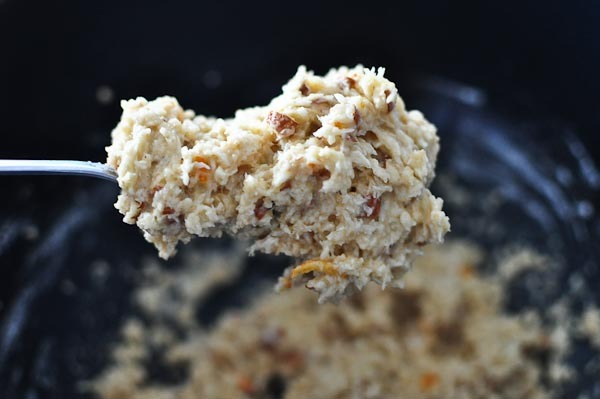 Pour the egg mixture into the dry ingredients and blend well. Divide batter into 6 muffin cups and bake for 15 minutes. 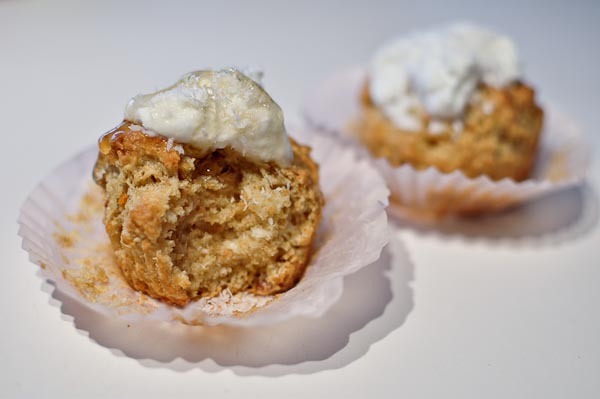 Try topping it with some greek yogurt, shredded coconut, and maple syrup. Hits the spot! How often do you eat coconut flavored things? 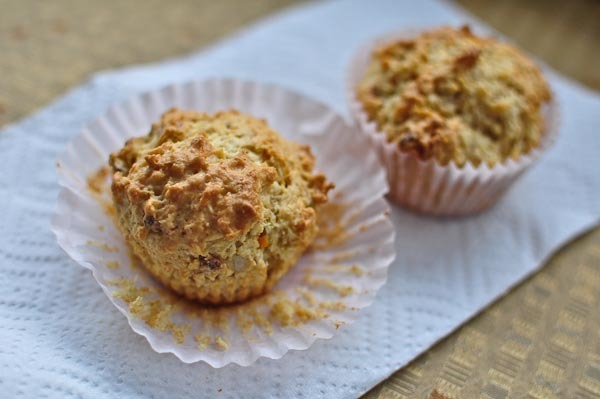 Do you like to top muffins with anything or do you prefer them plain?